This title is directed primarily towards health care professionals outside of the United States. 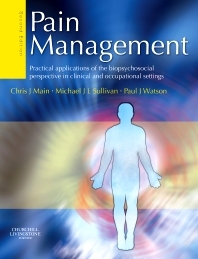 It deals specifically with the management of potentially chronic l pain, how to assess patients with pain, the factors involved in the development of chronic pain and the setting up and running of a pain management programme. The main focus is on musculoskeletal and fibromyalgic type pain. Cancer pain is not addressed. The authors address not only what is recommended in the management of pain but also whether and why it is done, thereby covering not only the content of interdisciplinary pain management but also the processes involved. Section 1: Introduction to pain management.